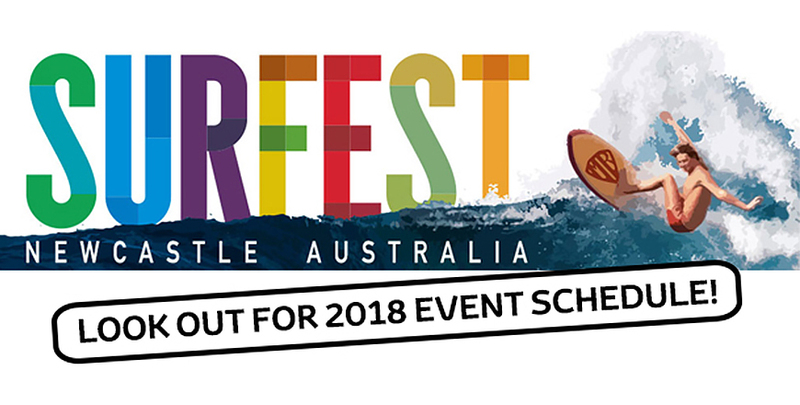 Surfest is a world class event on the international surfing calendar held in Newcastle, Australia, and we are proud to be an ongoing major sponsor of this great event. Originating in 1985 when the beauty of Newcastle's beaches and surf breaks needed to be shown to the world rather than just an industrial image, Surfest has continued for over three decades and has since become one of the world's largest surfing festivals. Surfest has always attracted the world’s best surfers because of the city’s unique hospitality along with a distinct February possibility of north-easterly swells coming in from either cyclonic activity in the Coral Sea or from low depressions sending southerly swells up through ‘pinball alley’ – the oceanic area between Tasmania and New Zealand. Crowned a national surfing reserve in 2009, Merewether really lights up when southerly swells fanned by north-west winds barrel through from third reef, providing rides where a surfer’s ability can be fully tested. Those fabled right-handers were the training grounds for the likes of Mark Richards, Luke Egan, Matt Hoy, Simon Law and Nicky Wood and where they developed the talents that enabled them to mix it with the best in the world. Recent improvements to the area include terrific seating arrangements for those wanting to get a close-up look at the action. The fabled right-handers that peel down the rock and sand bottom off Merewether beach attract both competitors and spectators. image: Surfest Patron and Maitland Toyota Ambassador, Mark Richards with 2013 Burton Toyota Pro and ASP World Champion Joel Parkinson. Photo: RedMonkey. Maitland and Port Stephens Toyota have demonstrated a long-term commitment to Surfest over the past 14 years. Group General Manager Kim Burton said, “We are very proud to sponsor the 2017 Maitland and Port Stephens Toyota Pro. It is exciting that Surfest will again have two 6000 point WSL QS events on in February, 2017. To see Hunter businesses come together through a crowd-funding initiative to ensure Surfest will have many of the best male and female surfers from around the world shows just how much Surfest means to the region. Some notable events we sponsor include the Maitland and Port Stephens Toyota Pro Mens (WSL 6000 event) and the High School Team Challenge.